Sabre Safety have over 75 years experience in the design and manufacture of Respiratory Protection Equipment. 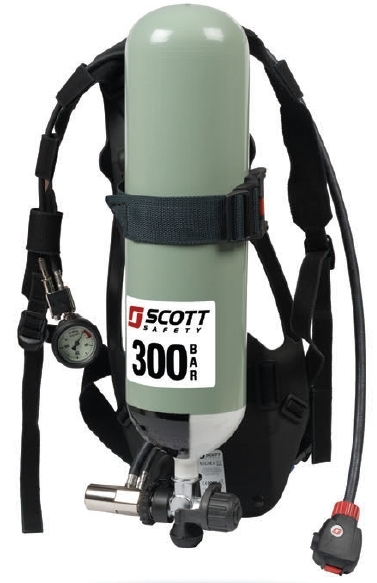 Approved to EN137:2006 Type 2, the Scott Sigma 2 Type 2 Self Contained Breathing Apparatus combines the highest level of respiratory protection in a simple to operate, cost effective piece of equipment that meets the needs of Industrial and Marine firefighters. 2023033 SIGMA-2-PS (TYPE 2) SIGMA-2 is a self contained positive pressure breathing apparatus complete with PanaSeal positive pressure facemask in black Neoprene, moulded composite backplate with fully adjustable harness and infinitely adjustable Kevlar webbing cylinder band.